School is hard work. Brains are running on high gear and appetites always seem to go up when kids have been in school all day. That’s why I like to have healthy after-school snacks ready and waiting for my kids! 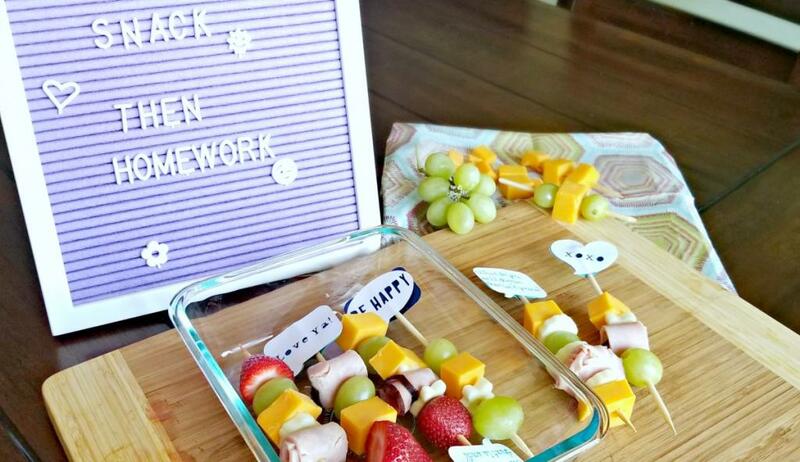 My kids know what they can and cannot grab as a snack, but some days I like to make it extra special and give them something a little more fun! 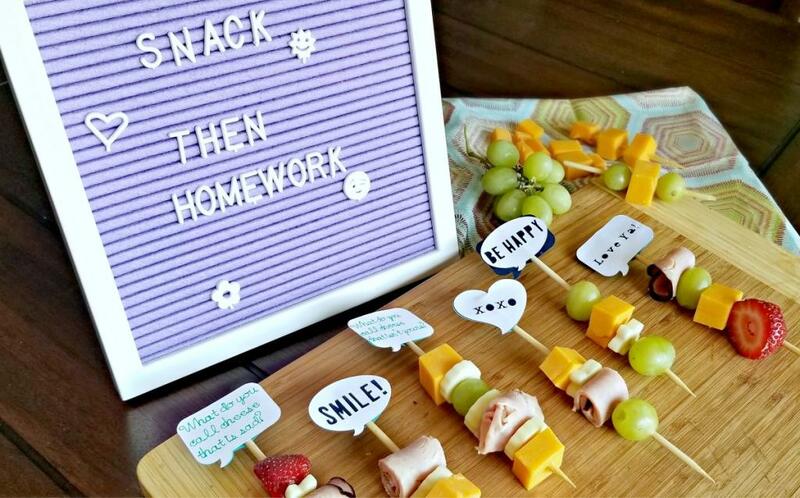 This simple and easy after school snack idea will have your kids eating better and is sure to put a smile on their face after a long day at school. 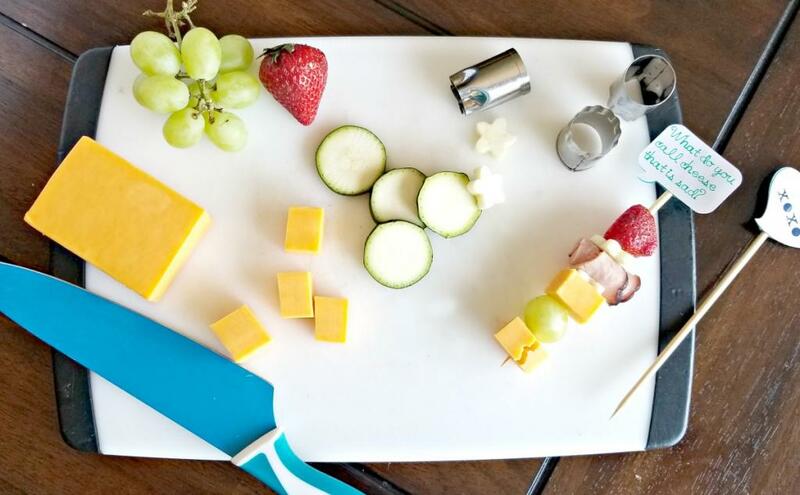 To make these easy after school snack kabobs you just need a few ingredients. 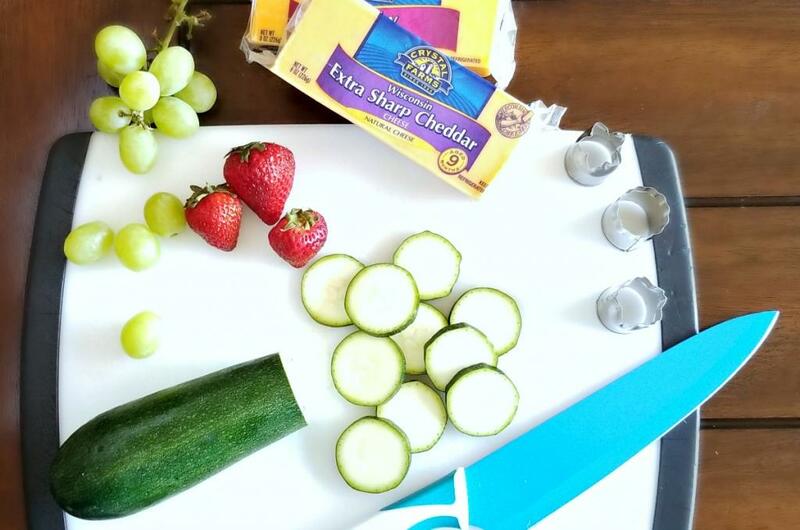 I used deli ham, zucchini, grapes, strawberries, and I made sure to grab everyone’s favorite snack — Crystal Farms® Cheese! Cheese from Crystal Farms is always a great addition to any snack or meal because it is a rich source of calcium, plus it is made by cheese lovers, for cheese lovers — like me! I also had a ton of fun using my Cricut cutting machine to cut out little skewer toppers with fun sayings to go on top of each kabob. The kids are going to love having a special message with their snack! To make the toppers you can use this ready-made design from the Cricut Design Space software, or you can make your own in a program like Word or Paint. Simply cut them out and then glue together. 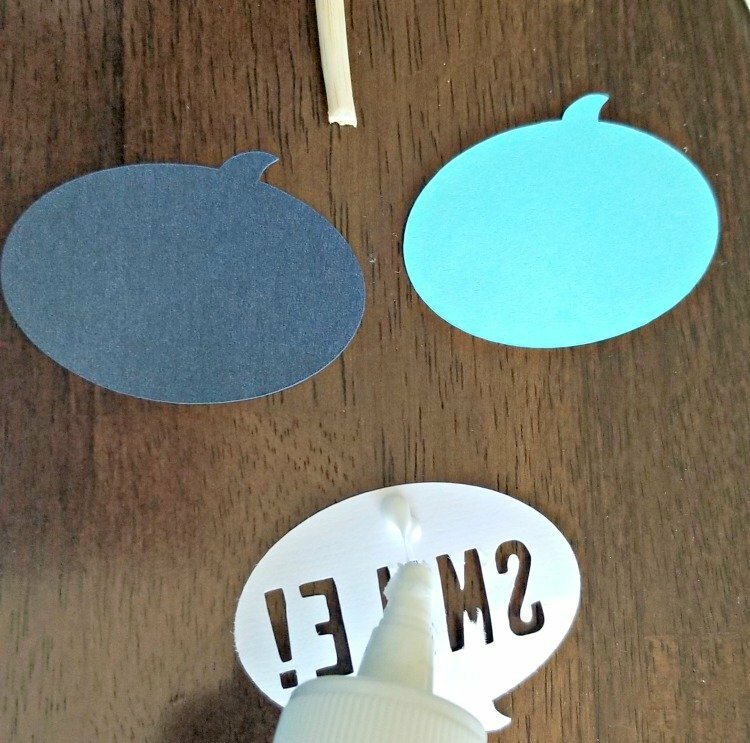 Be sure to insert the skewer stick between layers before completing gluing together so that it is in the middle and you can’t see it. Next, assemble your skewers in any fashion you like! I did some with no meat, some with extra fruit, and since everyone loves the Crystal Farms Colby Cheese, I made sure to include it on each one. These can easily be made right before the kids get home, or you can make them in advance as well. They store great in glass containers, which can also be used for leftovers — as if there’ll be any! 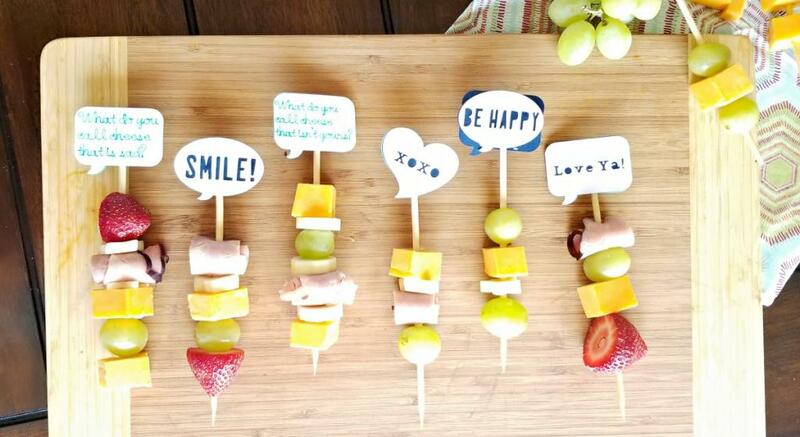 What would you include in your after-school snack kabobs? One lucky person will have a chance to win 3 free Crystal Farms product coupons! Giveaway open to U.S. 18+ only. What is your favorite weeknight meal? What foods do your kids love to eat? One winner will be chosen by random draw on or after 8/26/18. Winner will be notified via email (please be sure to use an accurate email when submitting your comment. Only the website owner will have access to emails. Email will not be shared). 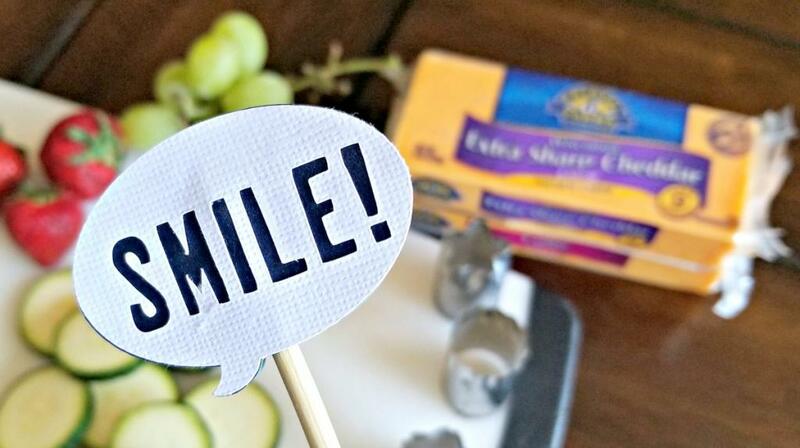 Check out more about Crystal Farms Cheese, find recipes, and take the inner cheese #CheeseLove quiz HERE! PreviousNutcracker And The Four Realms – New Trailer! NextDisrupting The Aging Myth – Are You Adventurous?